When kiosks such as Blendle first came out on the scene, there were cries that they would be “the saviour of journalism“, but since then things haven’t gone as great. To understand why kiosks are struggling to keep European publishers on board, we’ve taken a deep dive into the world of kiosks. Dutch startup Blendle may be the most well-known digital kiosk, at least in Europe. Dubbed the ‘Spotify for news’, it was first launched in 2014. Blendle offers readers premium stories one-by-one, instead of requiring a subscription for each publisher. Publishers can pick the exact price for their article, but stories generally cost between €0.10 to €0.89 ($0.13 to $1.11). First-time readers automatically get a €2.50 credit, allowing them to test out the platform before committing further. When Blendle first launched in 2014, Frederic Filloux of the Monday Note was quick to point out that kiosks would not be the saviour of journalism some had hoped. At the time, he identified a few different reasons why he was skeptical of Blendle’s claims. Primarily, the biggest issue is the hyper-abundance of free content. While in the Netherlands, the Dutch language could serve as a barrier against the abundance of English language content available for free on the internet, this isn’t true of other markets. By divorcing the articles from their content, the added-value this specific article will have for a reader is lost. Why pay for an article about a topic, when a similar story is available for free elsewhere? Without the understanding of the value and trustworthiness of the publisher, readers won’t value journalism anymore. In a later post, Filloux was more positive about the prospects of Blendle, but in hindsight, his initial analysis was remarkably right. Despite the initial warm welcome and 2 funding rounds, with key investors like The New York Times and Germany’s powerhouse Axel Springer, the future of Blendle looks uncertain. Hope for other kiosks and aggregators? Other kiosks haven’t done any better than Blendle lately either, with no real success stories coming to mind. Texture, the digital kiosk for magazines, was recently acquired by Apple, who plans to integrate it into Apple News. While not a pure kiosk, Apple News is similar as it is an aggregator of publisher content. 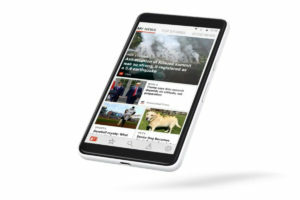 Apple News was first launched in 2015 in the US, UK, and Australia, reporting 70 million global unique viewers. Also Google News recently announced a strong update of its offering, using advance artificial intelligence. Microsoft is the latest tech giant who announced a major investment in news aggregation with its newest Microsoft news apps. With a team of more than 800 editors worldwide, Microsoft aims to provide the best curated news experience. Other pure digital kiosks include Inkl, the Australian startup with both pay-as-you-go and unlimited access models starting at $15 per month; and Readly, a Swedish startup giving unlimited access to 2,500 magazines for $9.99 per month. In France, SFR also recently announced that it will invest tens of millions of euros to transform its digital kiosk SFR Presse. First launched in early 2016 and offered for free to SFR Telco subscribers, the recently announced redesign for SFR Presse kiosk will be a paid-for service, charged at 7-10 EUR per month. SFR hopes to generate additional revenues by converting PDFs automatically in a non-linear reading experience, across publishers. The one bright spot lately has been Flipboard, which launched in 2010 and is available globally. Recently, publishers began reporting massive spikes in referral traffic from Flipboard, due to changes in how Flipboard shows articles. Now Flipboard’s 100 million monthly active users are directed to the publisher’s website directly. Still, many publishers are wary of these recent spike, wondering how long it will last for. 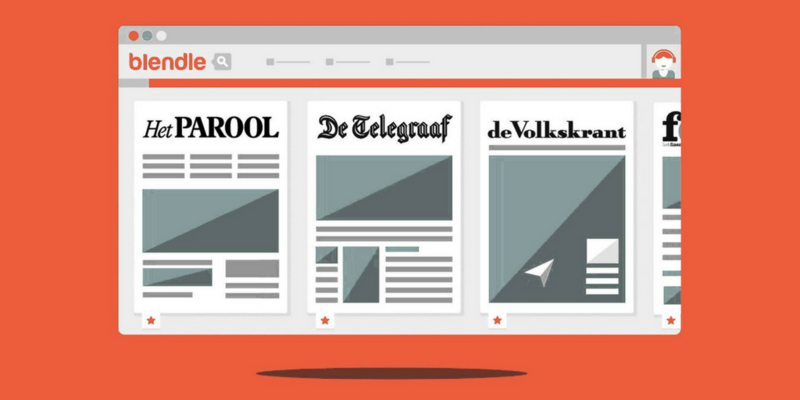 After the announcement of Blendle Premium, other Dutch publishers started to limit their cooperation with Blendle as well, including De Telegraaf and De Persgroep, with the latter even creating a similar initiative, Topics. 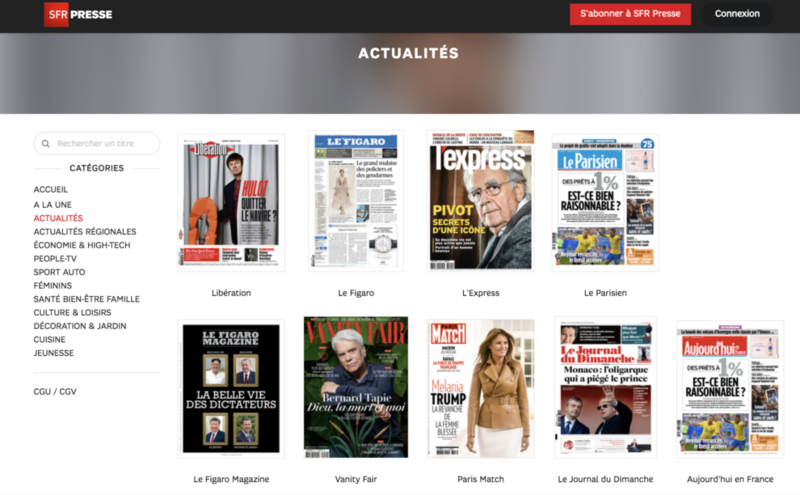 In France, only Libération and L’Express, both owned by SFR parent company Altice, and Le Figaro and Le Parisien, are at this moment available on the SFR Presse digital kiosk. Other newspaper publishers in France like Ouest-France and Centre France have withdrawn from the initiative. Mindnews also cautions publishers to be careful with kiosks that are moving away from PDFs such as SFR Presse, because this change will mean that the French association responsible for certifying circulation numbers (ACPM) will no longer count these readers. Currently, ACPM only counts online readers via the number of PDF downloads and opens, and has refused to consider changing this methodology. In the soon to be released World Press Trends 2018 report from WAN IFRA, we’ll learn that today readers are preferring to access content directly from publishers, rather than from platforms or kiosks. We’ve also seen in the Digital News Report from Reuters that readers are relying on platforms such as social media less and less as a source of news. Savvy publishers will understand this trend to mean they need to focus on their own platforms, instead of looking to outside distributors for their content. At the end of the day, customer is king right? This entry was posted in Industry news and tagged Apple, Digital Growth, Digital publishing, Digital Strategy, kiosk, Newsstand, Tablet publishing. Bookmark the permalink.